They're better for you than ice cream and they taste just as good! This ghostly treat will please kids and adults alike. Peel bananas and cut into halves. Stick Popsicle stick or toothpick into flat end of banana and place in freezer until firm. 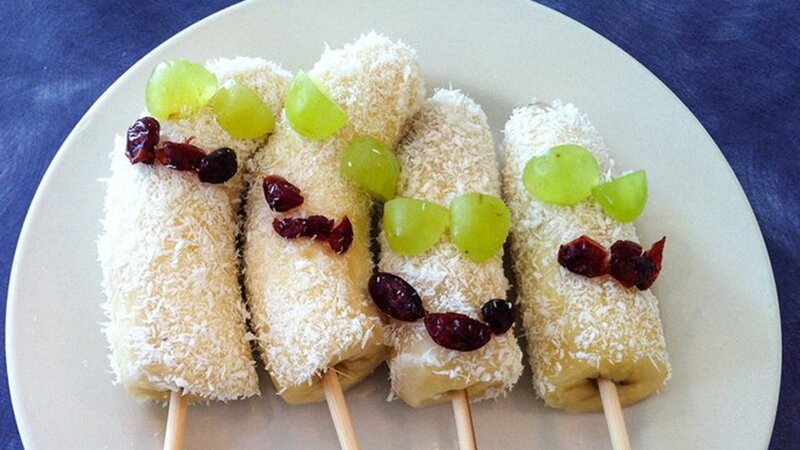 Once firm, roll bananas in coconut oil and then roll in dried coconut flakes. Lay coated bananas on a plate and use quartered grapes for the eyes and cranberries for the mouth.